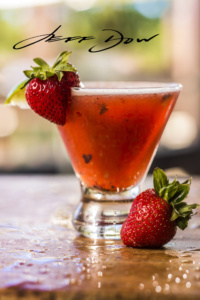 There have been lots of changes this summer at Echo Lounge, complete with a brand new menu, fresh summer cocktails, and even a gourmet taco stand! We recently sat down with Executive Chef Salvador Cortez Delgado to learn more about the amazing new offerings. Q: Chef Sal, thank you so much for taking the time to chat with us today. How long have you worked here at Echo Lounge? A: I’ve been working in the industry for 25 years, and I’ve been here at the hotel for 23 years since day one when the restaurant opened in 1991. Q: Wow, that is impressive! I’m sure you’ve seen lots of things change over the years. A: Yes, lots of things have changed, and I’m really excited about the new direction of the restaurant. 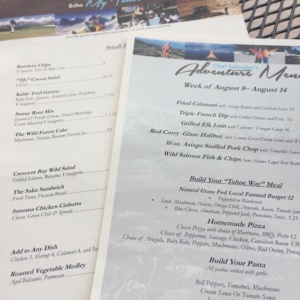 Q: Tell us a little bit more about the new My Tahoe Menu. What makes this new menu stand out from previous offerings? 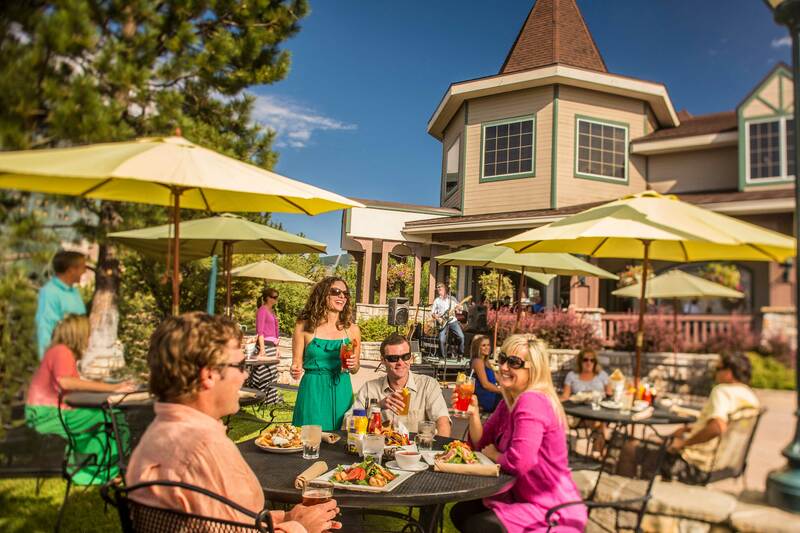 A: The My Tahoe Menu is a way for us to highlight fresh, local, and seasonal ingredients. Our goal is to buy ingredients as close as we can locally, such as free-range chicken from a ranch in Dayton, NV or produce from the University of Nevada in Reno, which they harvest at their campus. With the menu changing every week, I try to go to the Farmers Markets on Wednesdays, and the ingredients I find really influence the menu dishes that week. Q: That sounds awesome! 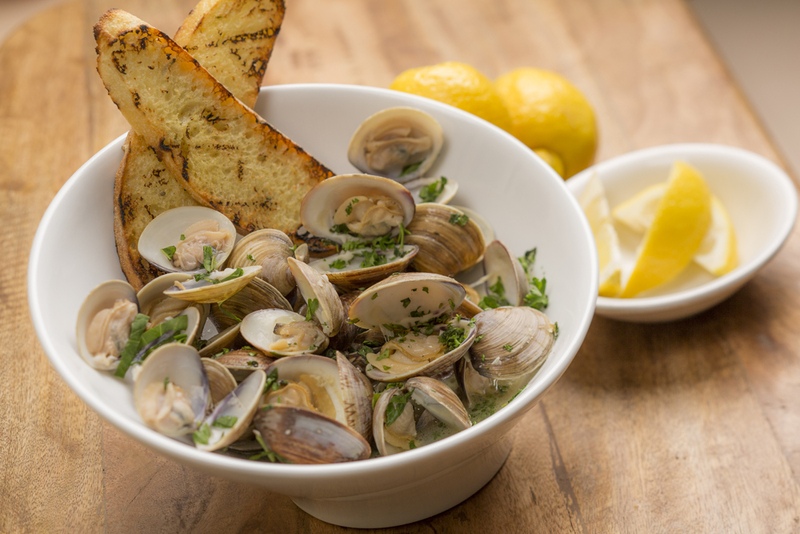 What are some of your favorite dishes that you are offering this summer season? 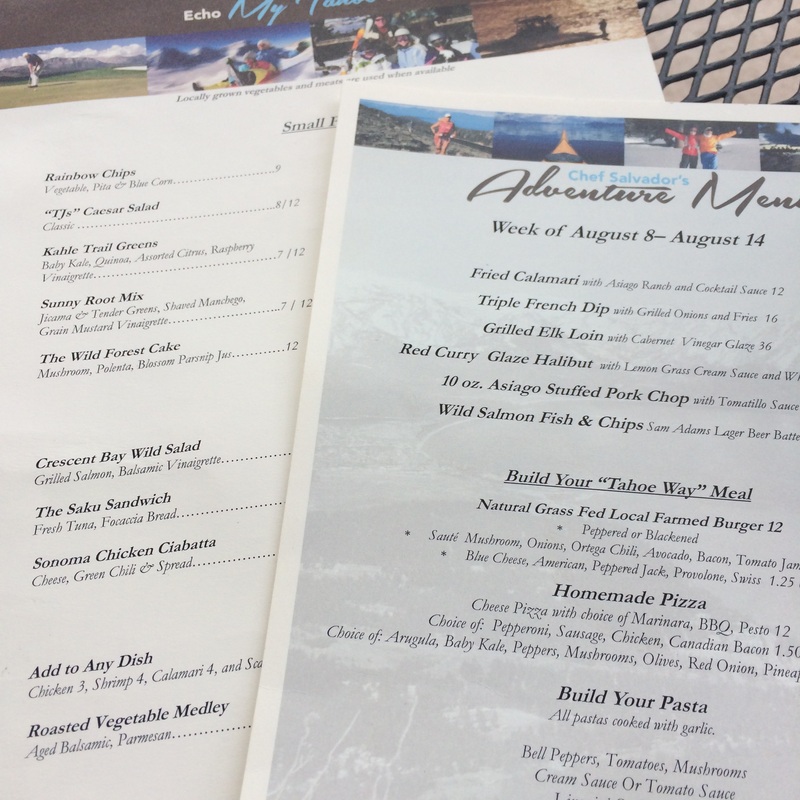 A: Our most popular dish is definitely our hamburgers off of the Adventure Menu. 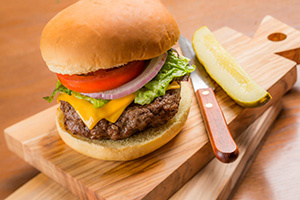 They feature grass-fed, all natural beef on a brioche bun and diners can choose which toppings they want to add on to create a unique dish. The Wild Salmon Fish and Chips is another popular item this summer. However, the dish I am most proud of is the Chocolate “Daffy” Crusted Duck with Port Wine Syrup on the My Tahoe menu. Q: You also recently added the Adventure Menu. Can you tell us a little bit more about how this special menu works? 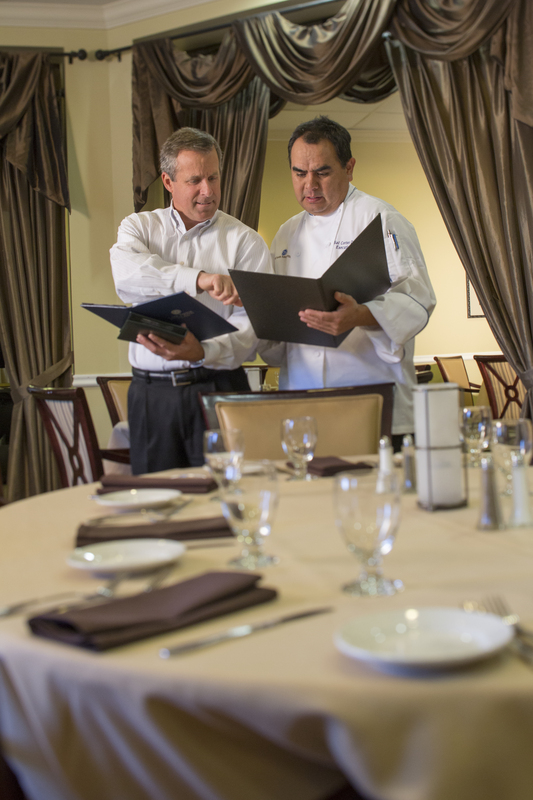 A: This menu gives our diners the opportunity to taste different flavors and freshness in their own way. For example, they can build their own pastas, add anything to their own burger, or even create their own pizza. It has also given me the freedom to come up with anything I want each week. If I want to create a dish using elk, venison, Chilean seabass, halibut, or something as simple as red snapper, I can create my own dish using that ingredient for the entire week, and continually change it up again and again. Lately I’ve been playing around with different types of grains including quinoa and different types of rice. This menu really is the best because I’m not stuck on one item. I can continue to create and change. Q: These all sound delicious! Of course they need to be paired with some tasty drinks as well. You recently refreshed your summer cocktail list. What was it like having master mixologist and bar chef with Bacardi, Manny Hinojosa come in and create some new cocktails? A: It was a lot of fun to have Manny here. He was very creative and was great at getting the public engaged while he was making the drinks. We all had a great time learning with him. We created a lot of the drinks specifically to be paired with some of our salads. We wanted to complement the freshness of these new cocktails, our fresh salads, and the summer atmosphere on our patio. The most popular dish to pair with the cocktails is the Wild Salmon Salad with veggie chips. 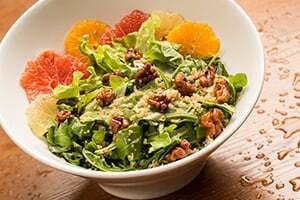 Other tasty options include the Citrus “Kahle” Trail Greens Salad and the Sunny Root Mix featuring jicama & tender greens. Q: This summer it seems like the place to be is out on the patio, especially with the addition of live music and a gourmet taco stand. What was your inspiration behind adding the taco stand, Kalbi Tu Comes? A: We really wanted to give people an option for grab and go. This way people can choose if they want to stay and relax with a cocktail on the patio and enjoy the live music, or if they need something quick, easy, and fresh to go. This taco cart has been a huge hit this summer. We even have the tacos on our My Tahoe Small Plates menu and they have been very popular in the restaurant as well. Q: Wow, there are so many new options to try! Is there anything else you’d like people to know? A: I think people tend to think of us as just a hotel restaurant, but we are way beyond just that. We try to create something unique and really give the public something more than what a lot of restaurants have out there right now. We try to push the boundaries of our menu offerings and provide truly fresh and unique foods. We’d like to thank Chef Sal for taking the time to sit down with us during his very busy day to give us some more information! 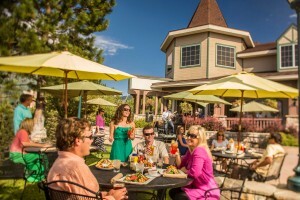 If you’d like to learn more dining at Echo Lounge, visit https://www.tahoeresorthotel.com/dining/echo or call 530.543.2140.